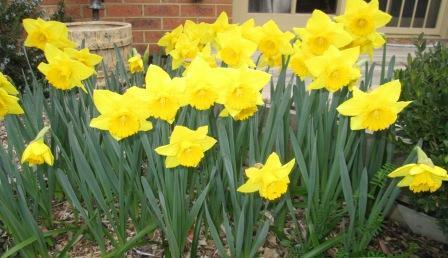 Given that it is Anzac Day, I thought a tribute to all who died in wars for our freedom would be appropriate. Naturally we also recognise those who fought and lived. Rosemary is used as a sign of remembrance. 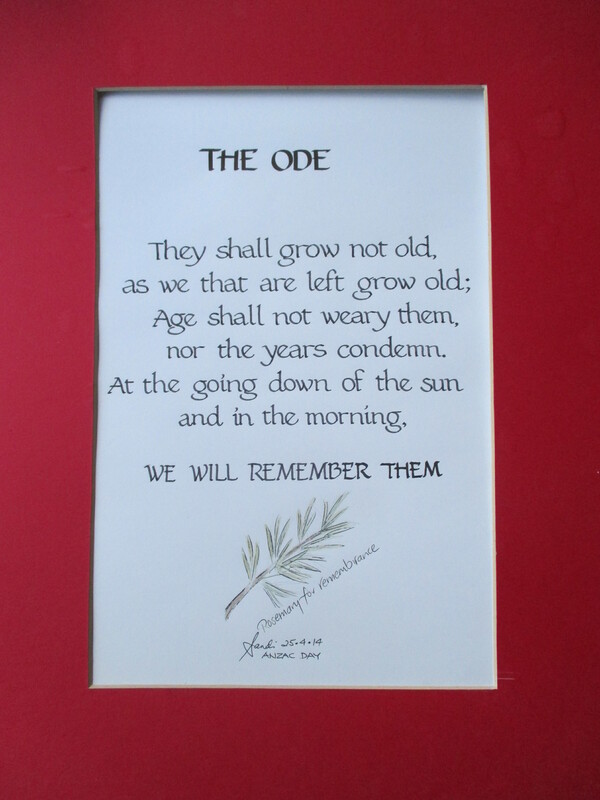 For those overseas, ANZAC stands for the Australian and New Zealand Army Corps. However, this is not a history lesson, just my tribute. Google ANZAC DAY to find out more. There is even a special biscuit traditionally associated with this day. I might even bake some. 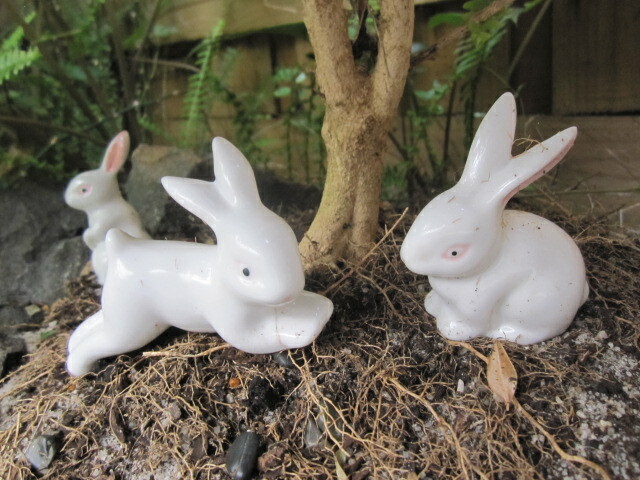 As Easter signals rebirth and resurrection, I have decided to branch out by focussing on something less limiting than two things I love: my garden and my cats. To this end, I am re-branding princess prattles to cater to my biggest passion – creativity. Continuing with the same blog address princessprattles.com, you will see the new header entitled “the crafty princess”. What might you expect to see in the coming months? Topics may cover calligraphy, card making, scrapbooking, photography, home décor, garden projects, even fashion, plus anything else that gets my inventive and imaginative juices flowing. Comments and suggestions are welcome. If I can provide some momentary pleasure, information and/or inspiration, then my work here can be deemed successful. Hope you enjoy this change in direction and continue to follow my blog. My experiment worked! 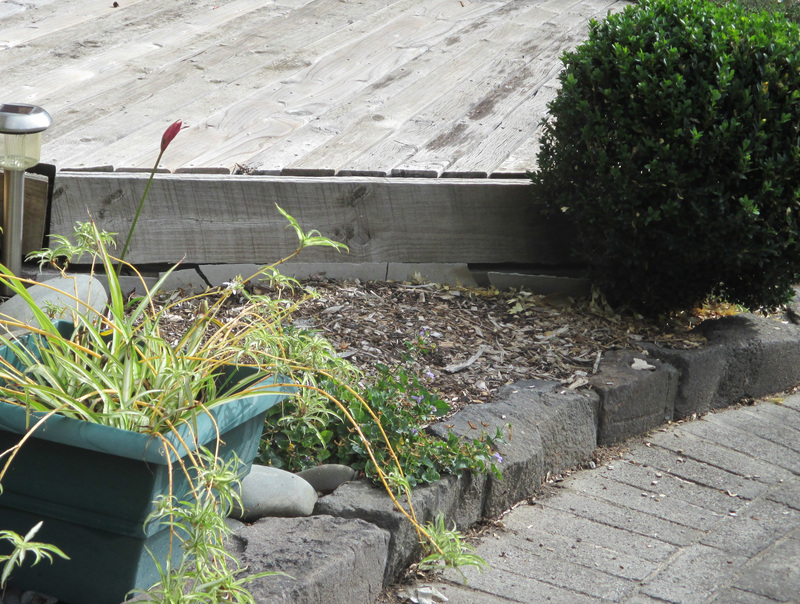 In the same bed as I planted daffodil bulbs, I put some nerine bulbs, thinking that since daffodils are spring-flowering and nerines are autumn-flowering, they might co-exist and provide colour in the garden twice a year. I love bulbs poking their little heads through and coming up on their stalks to then reveal their true beauty as they come into bloom. 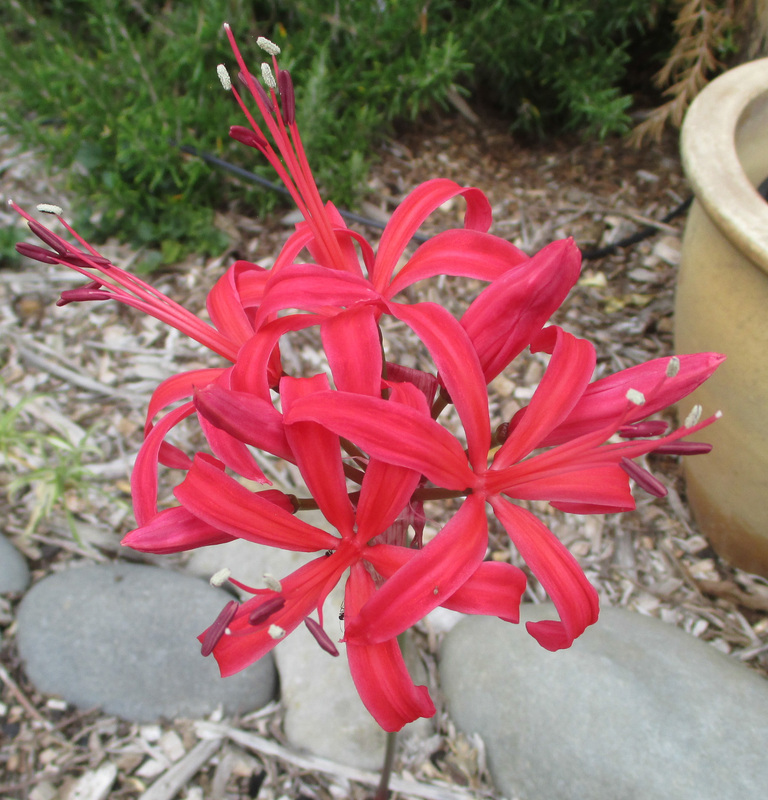 From the golden yellow of the daffodil we now have the contrasting hot pink of the nerine. Before our current cats, Shadow and Zorro, we had Bubble and Barth. Our ginger boy was very special, and it was so sad when it was his time to go due to kidney failure. So here is my first in a little series of re-blogging some of my favourite posts. 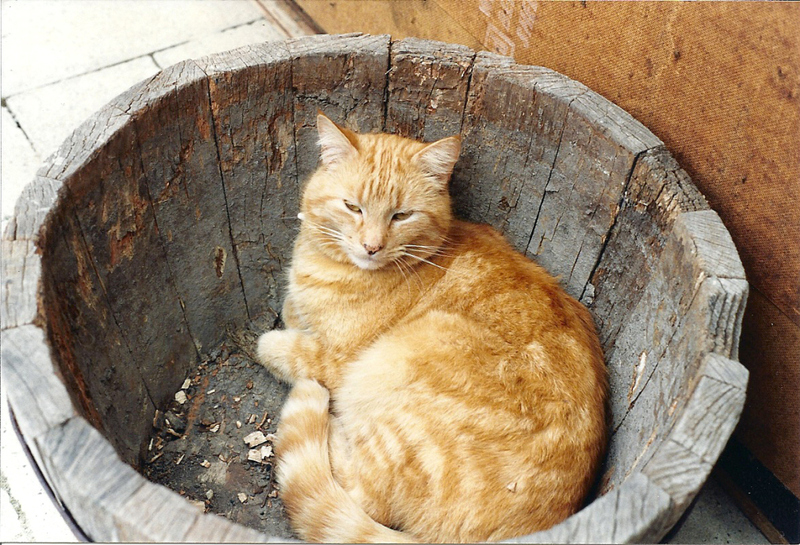 An old friend gave me a half barrel to use in my garden in 1991, but while I was still deciding what to do with it, my beautiful ginger cat, Bartholomew, or Barthy for short, decided it was a very nice spot in which to relax. My cats give me so much pleasure, and Barthy was extra special because we got him after I had a miscarriage in 1986, that he certainly helped me through. He has been in Cat Heaven since 1999, but at least I still have some lovely photos and memories of him. enter your email address here, the simplest way to follow princessprattles and receive notifications of new posts by email. and owner is strictly prohibited.